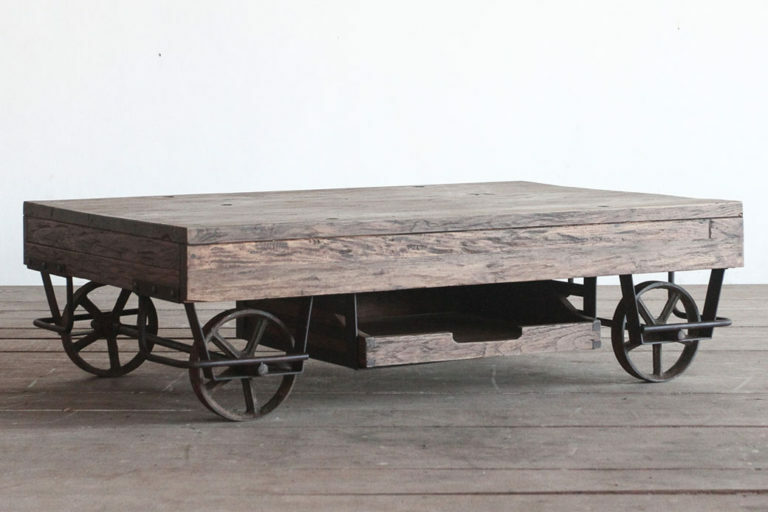 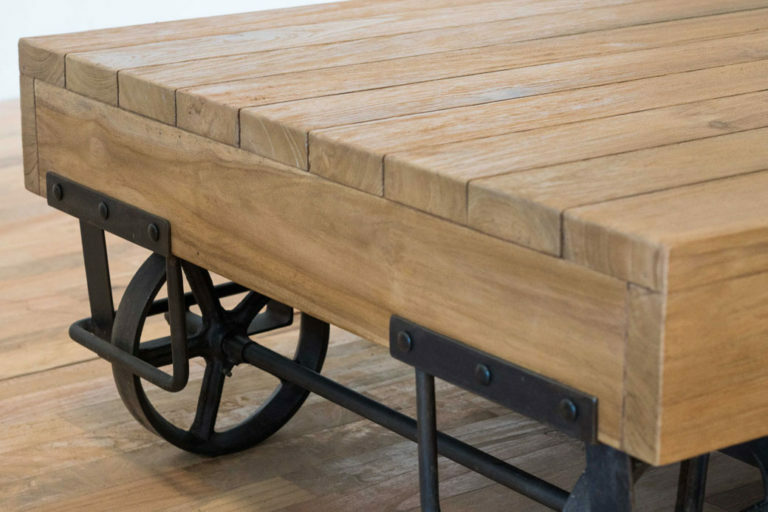 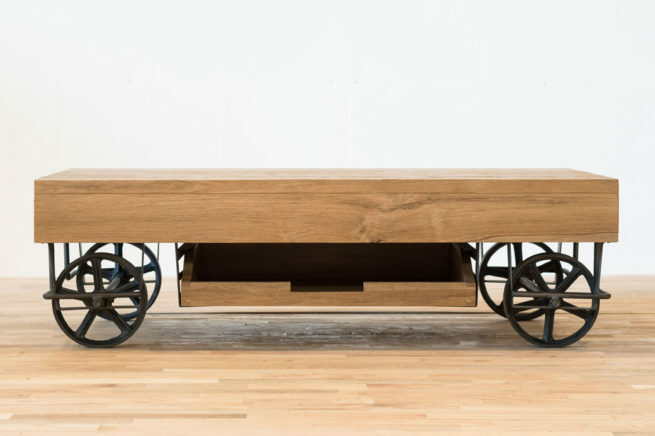 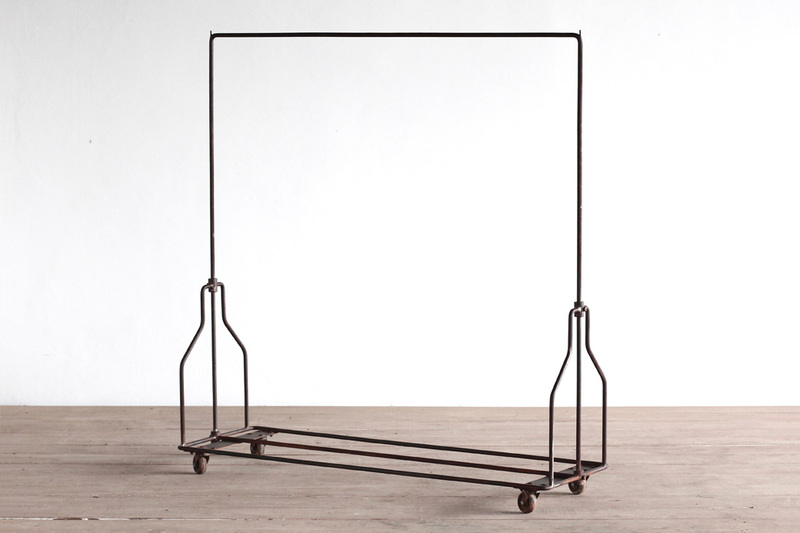 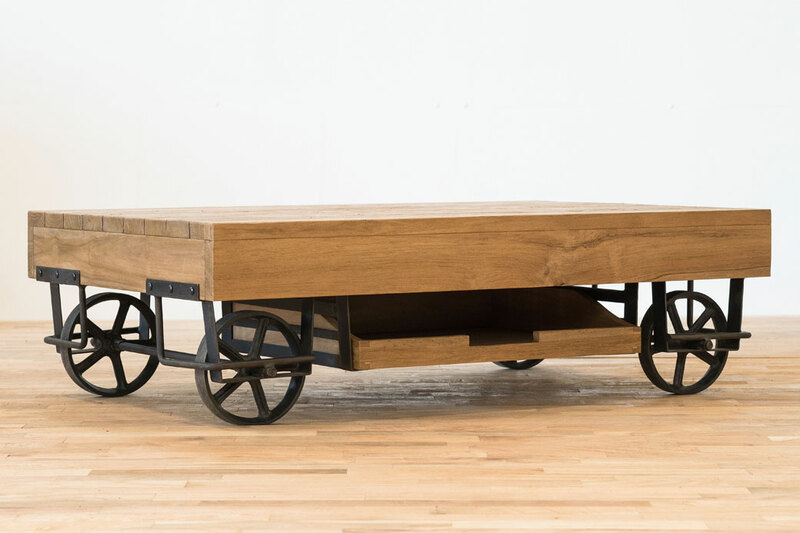 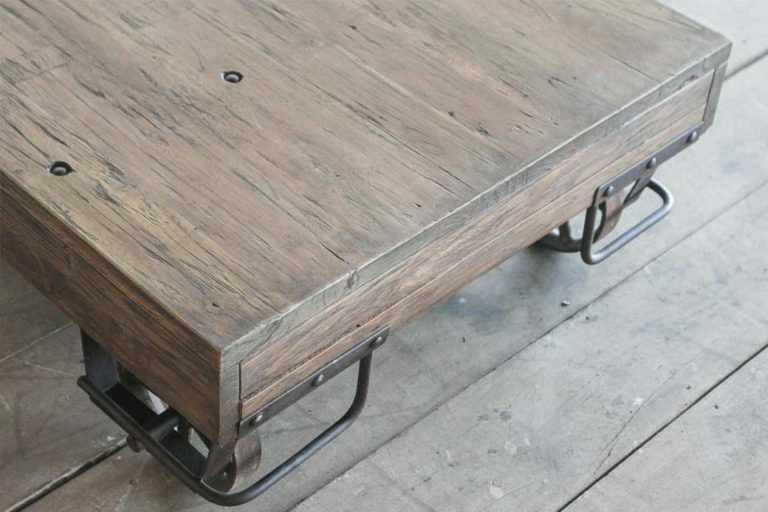 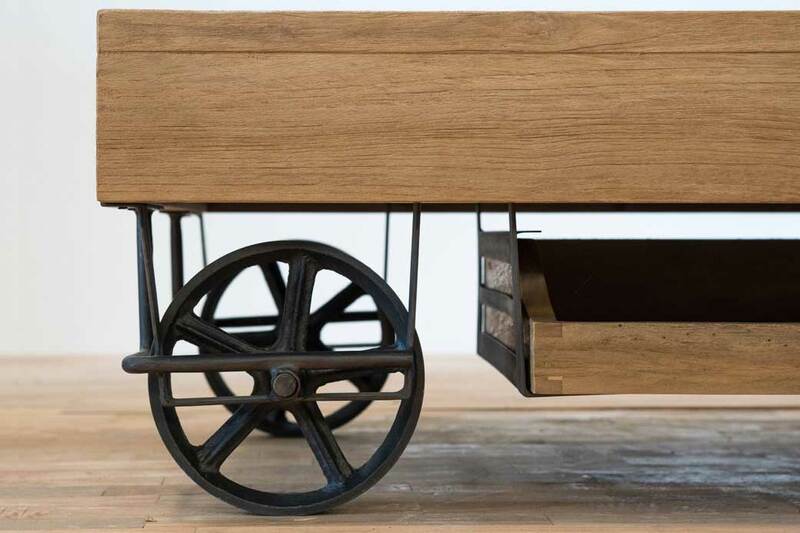 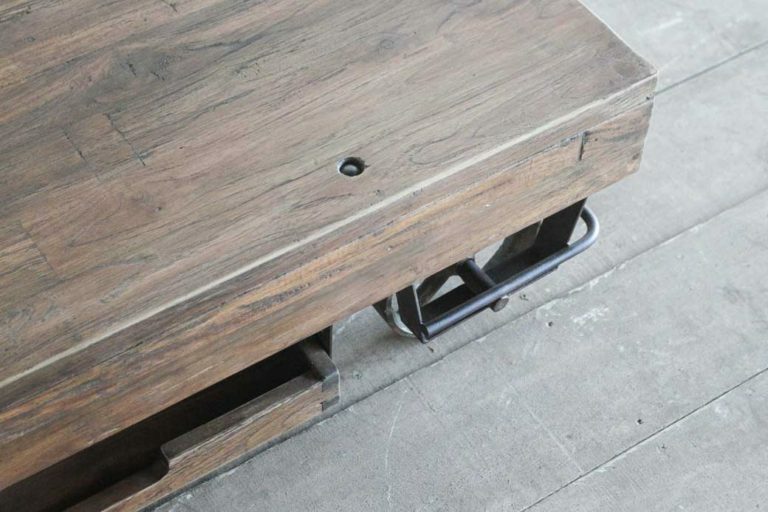 The Tailors Coffee Table is a beautiful reinterpretation of a vintage Tailors pulling cart. 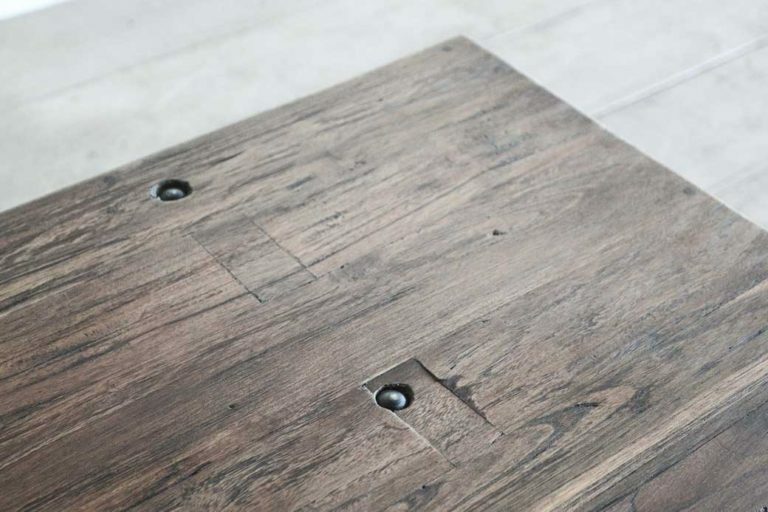 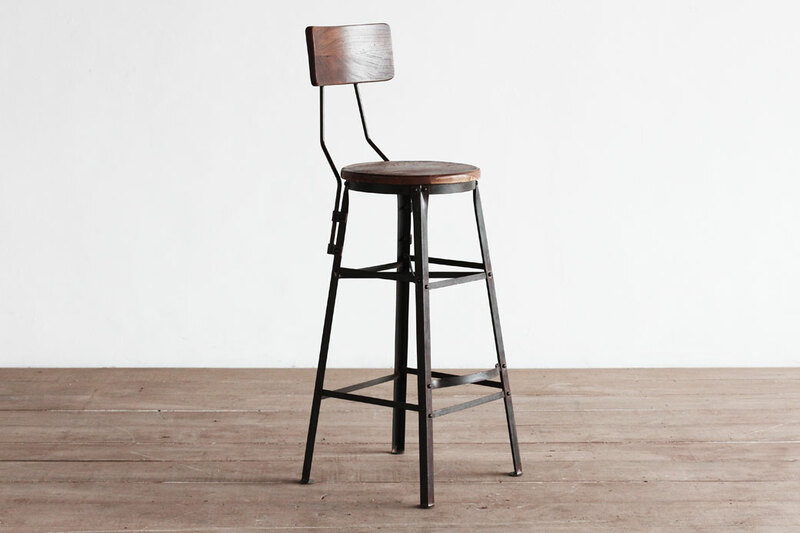 Made from reclaimed teak, but also available in other wooden materials, this item has such a beautiful character. 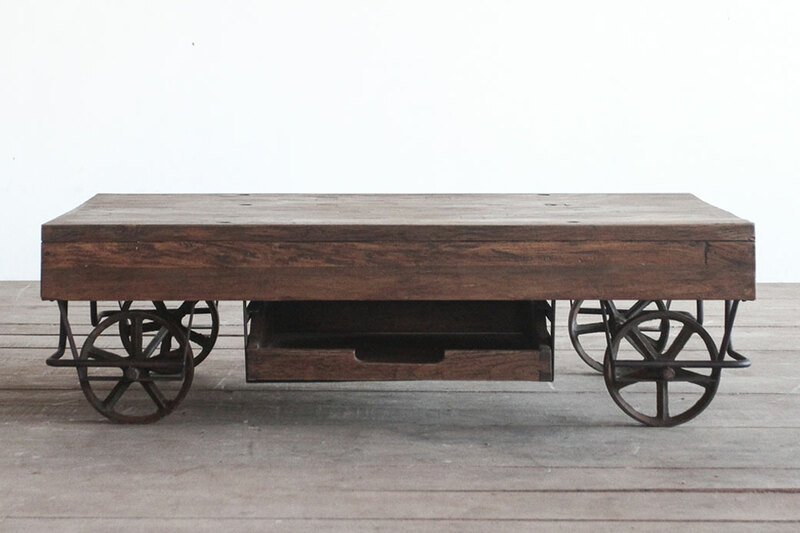 Working with cast iron wheels and formed steelwork for the under carriage structure that supports a wooden slatted top. 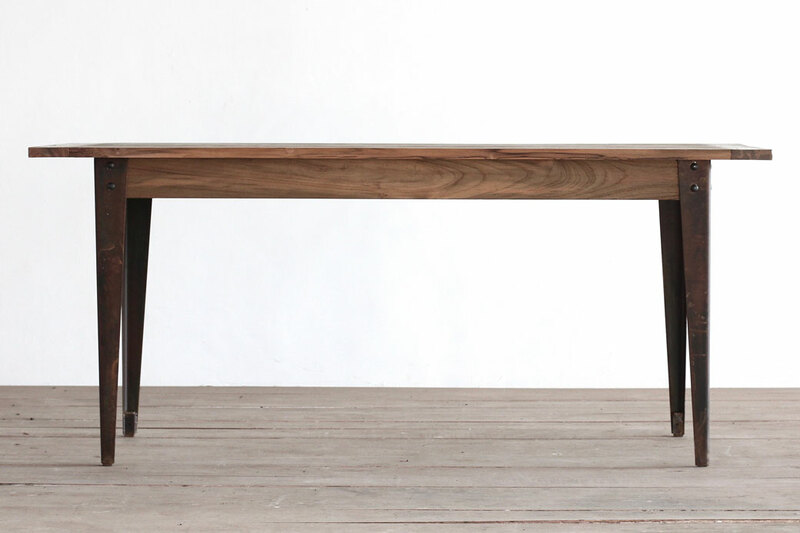 Such a stunning addition to any home.